People have been pinning my Greek Yogurt Strawberry Banana Bread and the Blueberry version like crazy. Then, Chobani posted the Cinnamon Apple version on their Facebook page and things got even wilder!! Welcome to all my new readers recently added from Chobani :) I'm so glad you're here!! 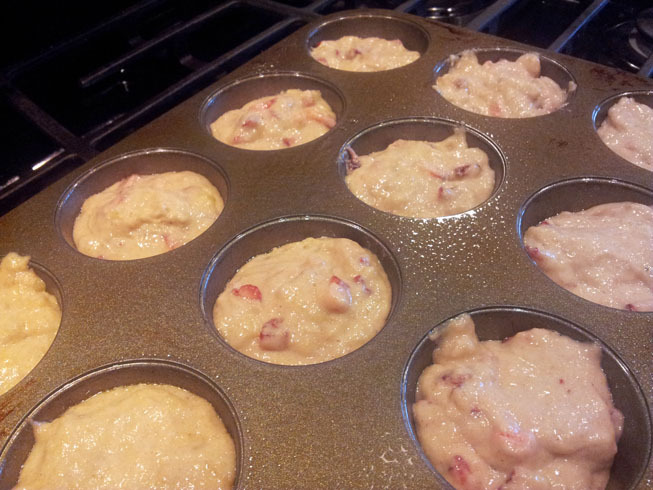 A few readers asked me how these breads would do as muffins, so I had to try it myself...the perfect Mothers' Day breakfast. I made a few changes to the recipe and cooking instructions, which I'll share below. 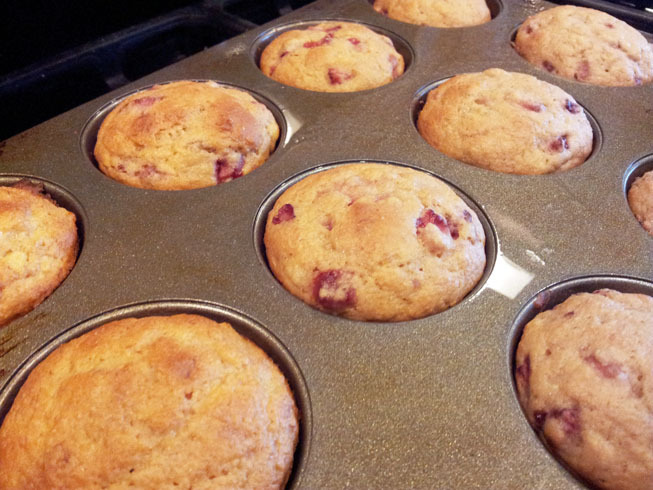 But, the main thing that came out of this little experiment was: "Forget the Bread, Make the Muffins!!" We loved them, even more than the bread!! I liked all the surface area and golden brown goodness. 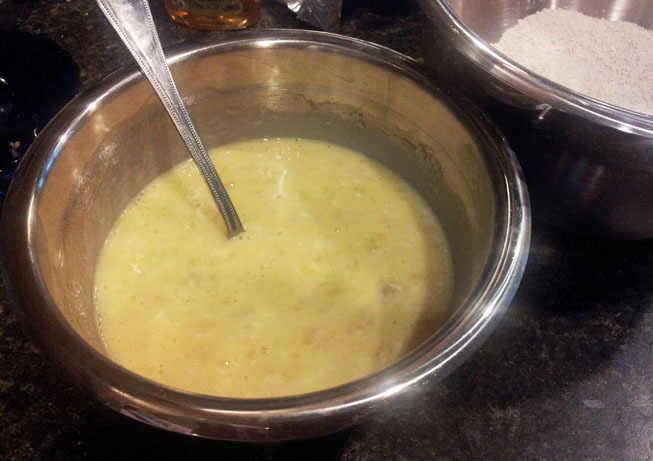 Mix the dry ingredients and wet ingredients in two separate bowls. 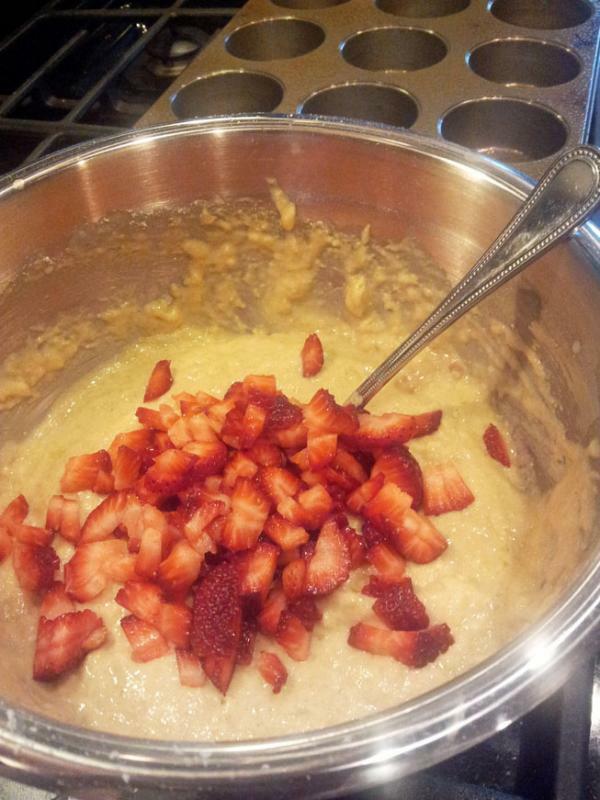 Mix together and add 1 cup of fresh diced strawberries. 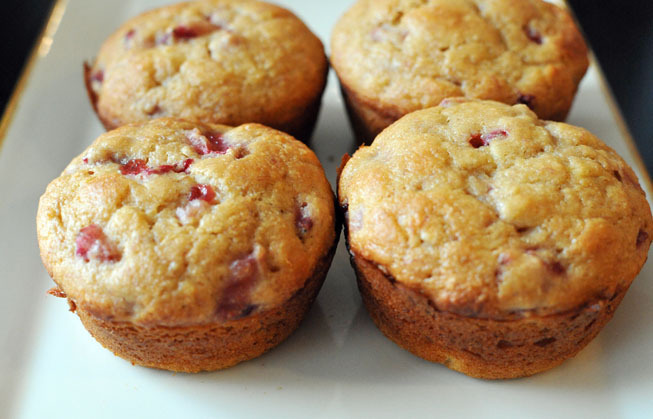 And voila, super moist sweet strawberry banana muffins. 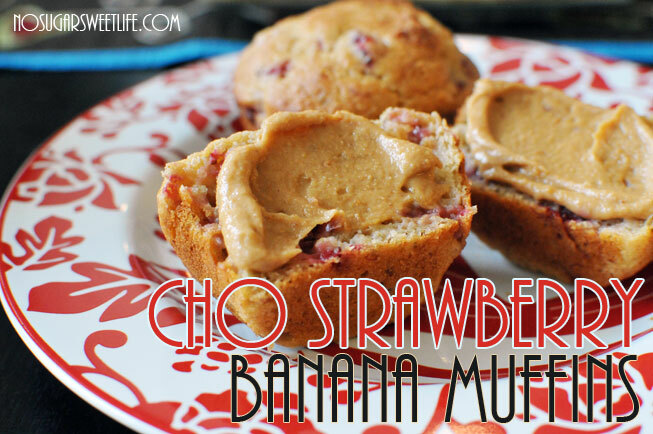 Delicious topped with nut butter (or PB2 in my case). YUMMOLA!!! Add honey, greek yogurt, and eggs. Blend until there are no lumps. Serve warm with butter or nut butter. I hope you had a wonderful Mothers' Day weekend! !